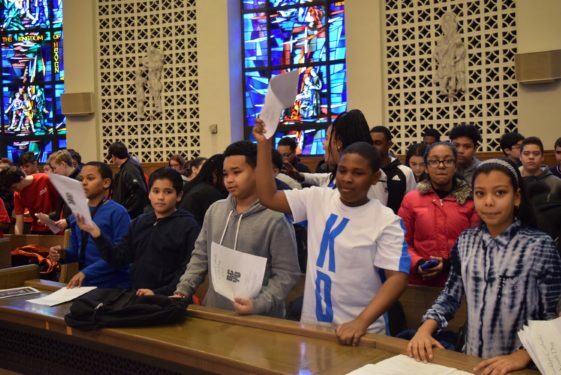 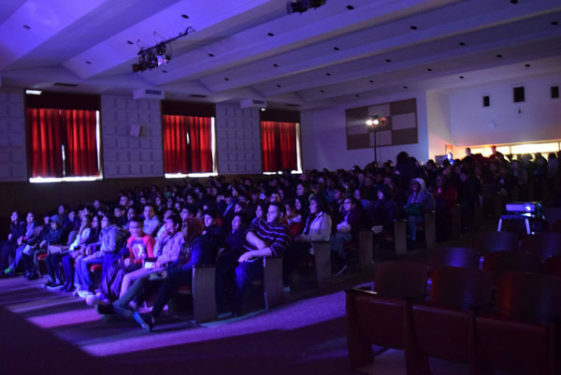 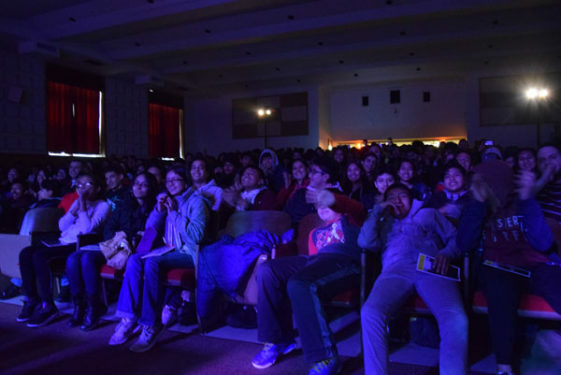 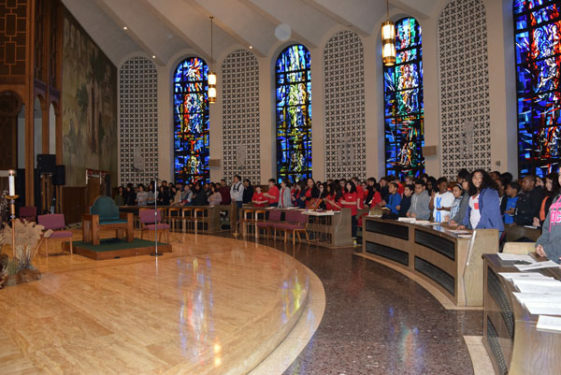 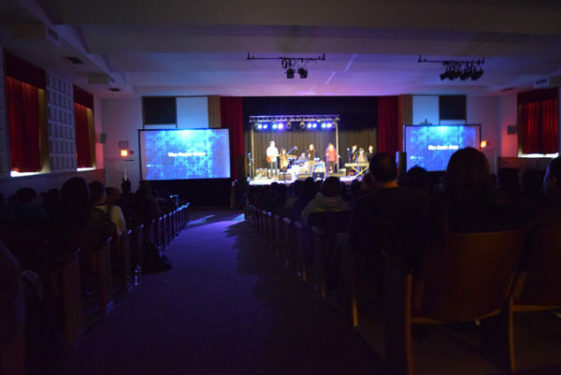 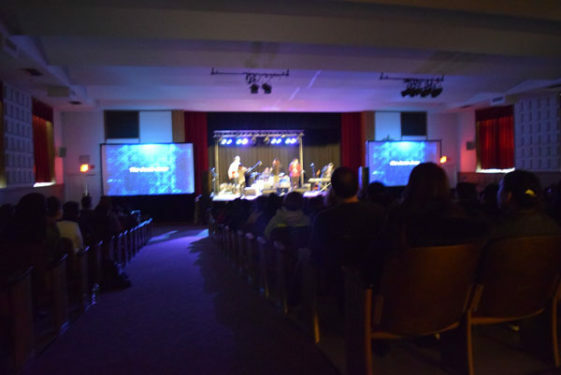 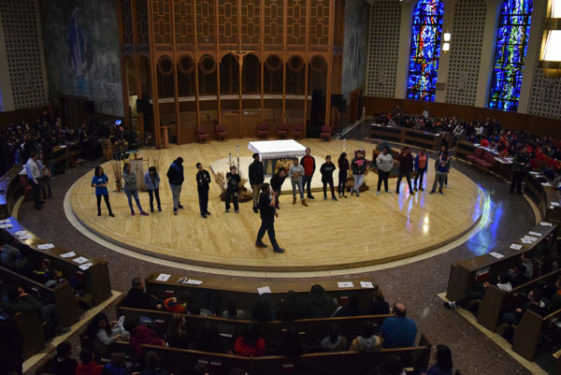 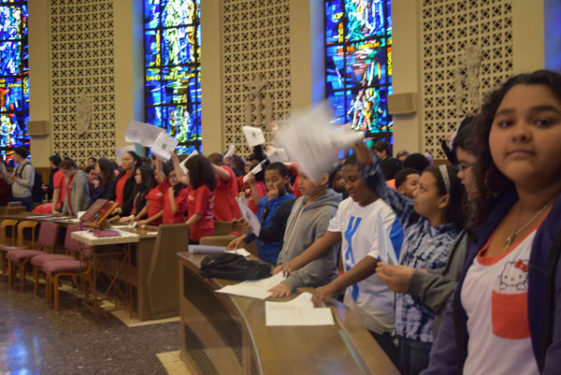 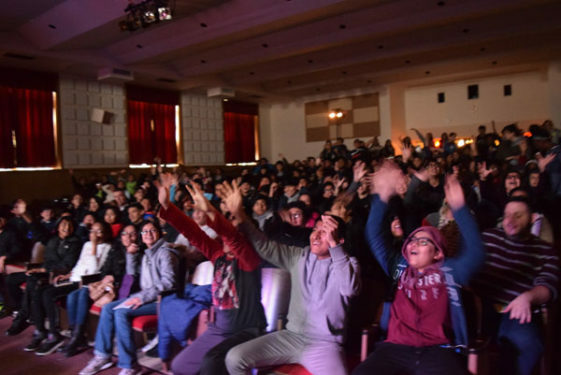 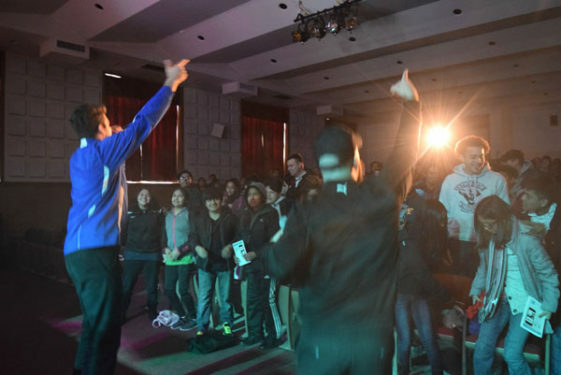 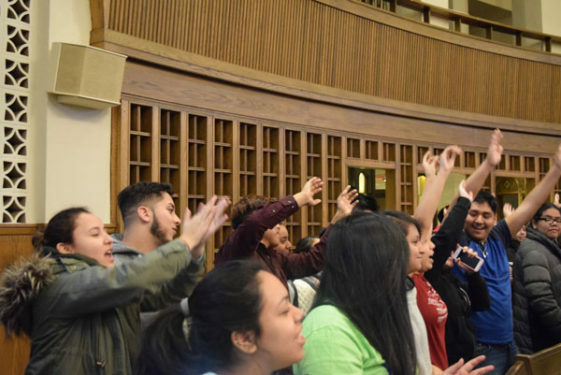 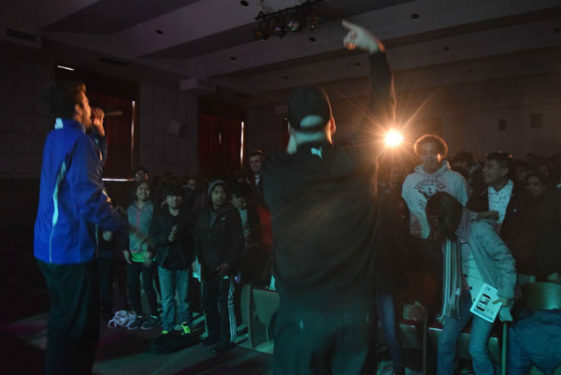 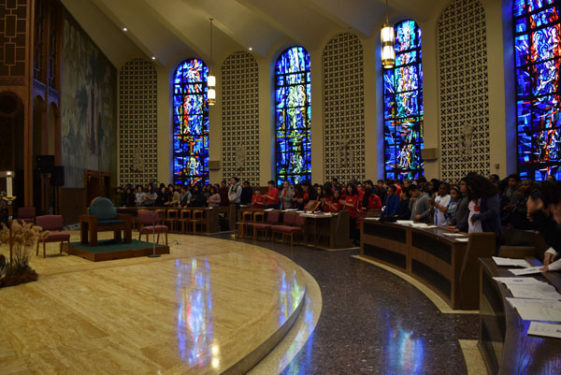 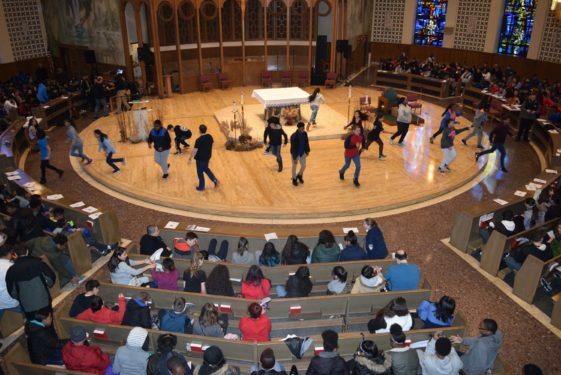 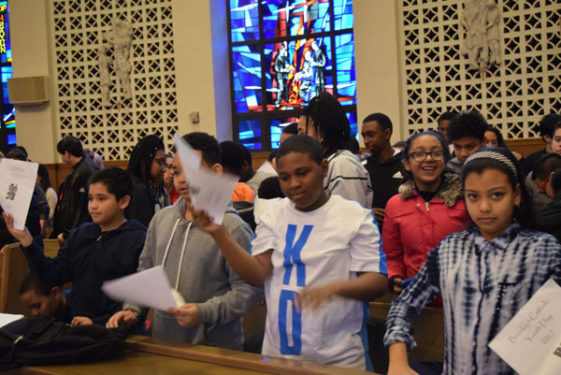 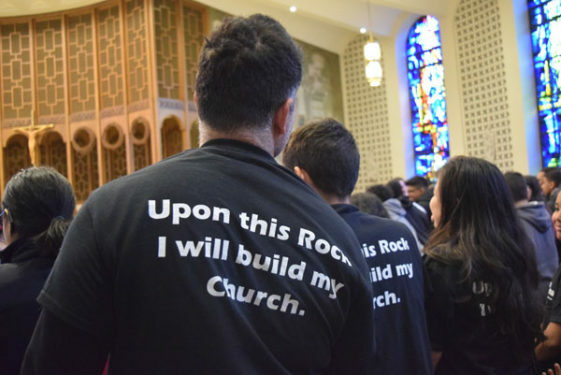 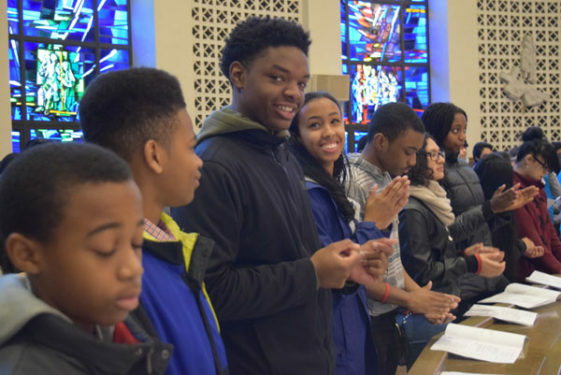 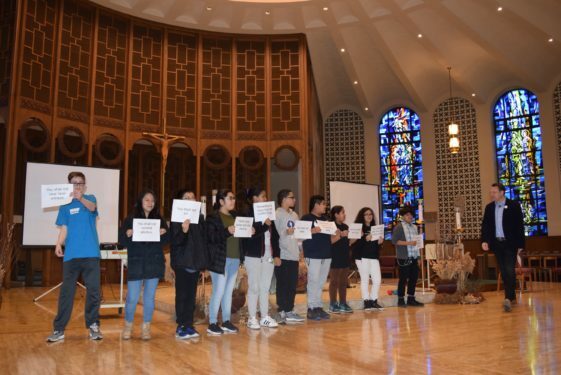 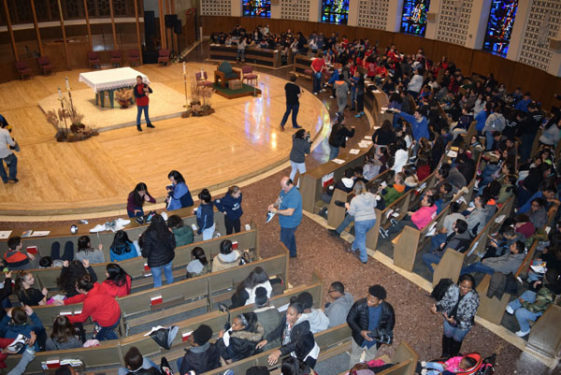 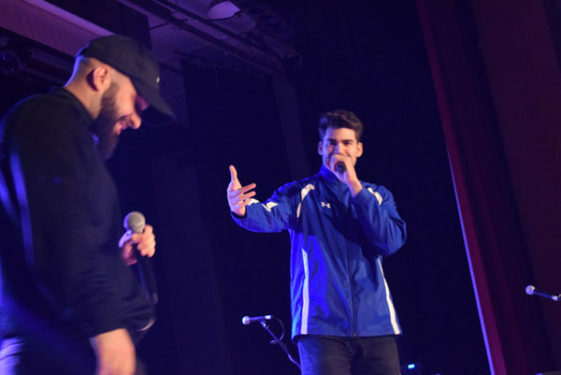 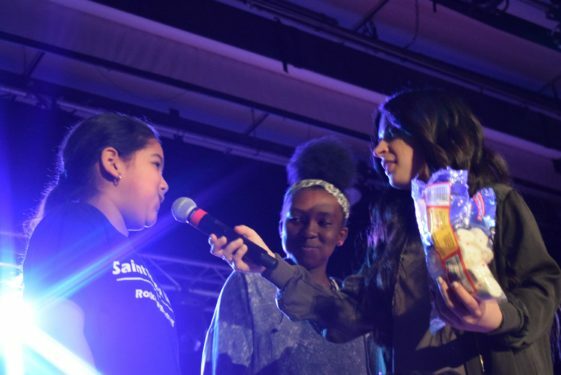 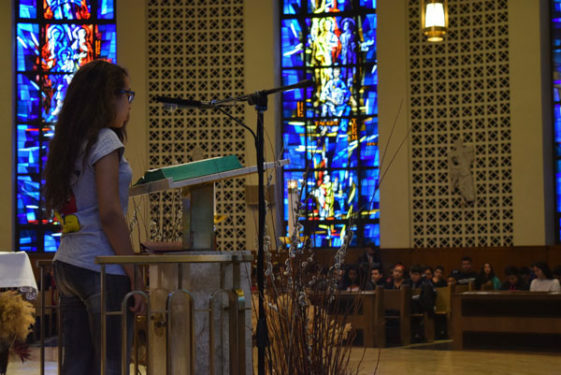 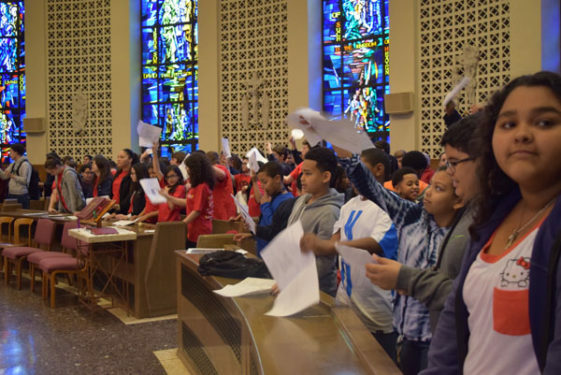 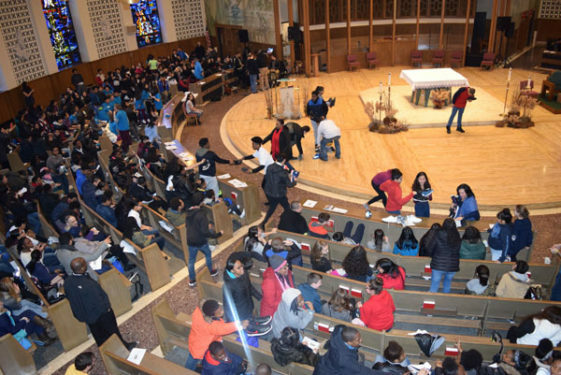 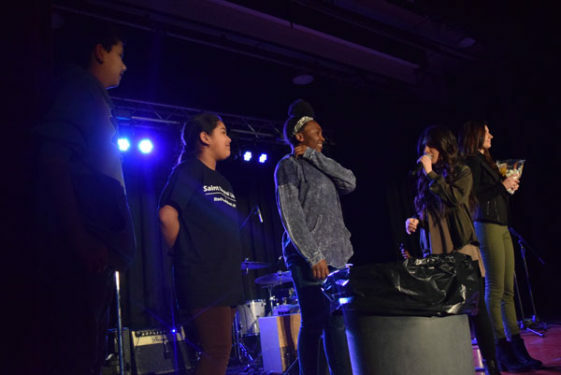 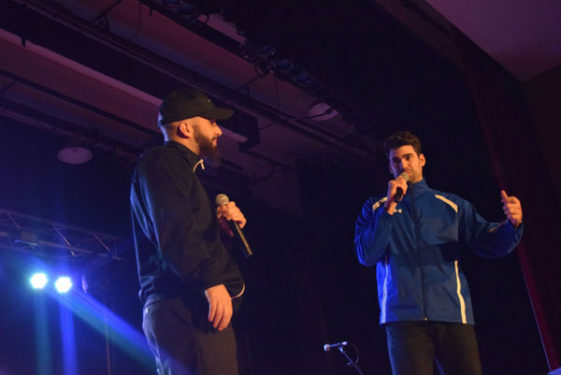 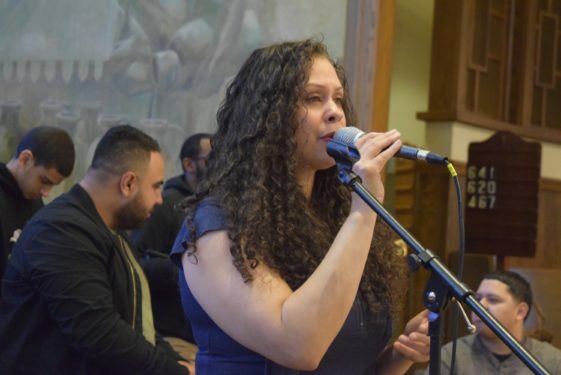 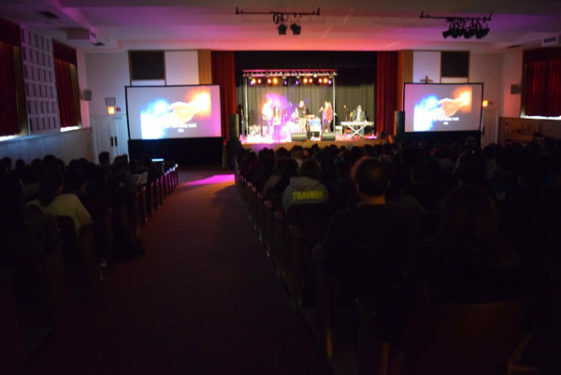 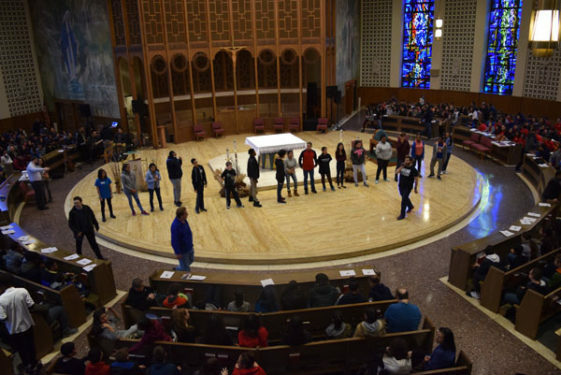 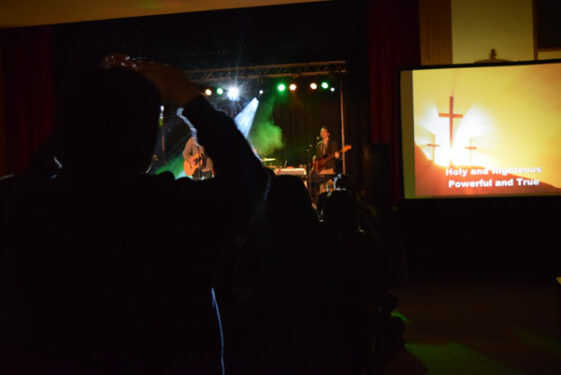 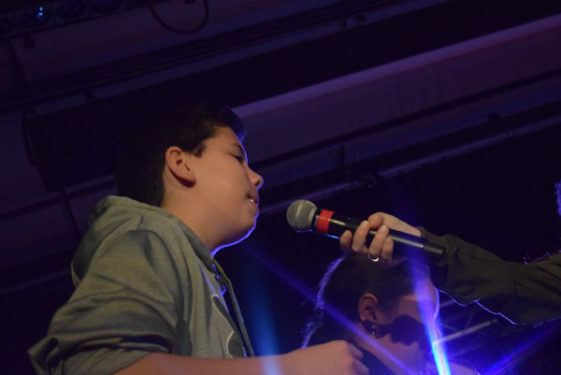 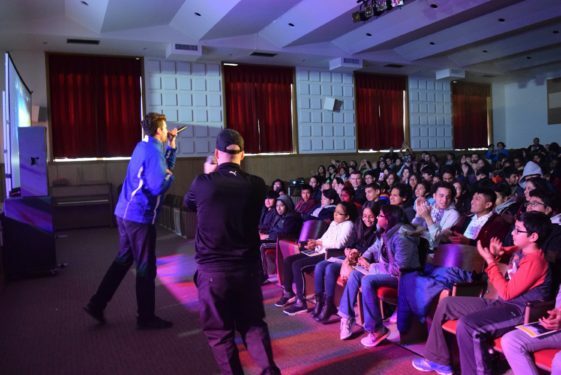 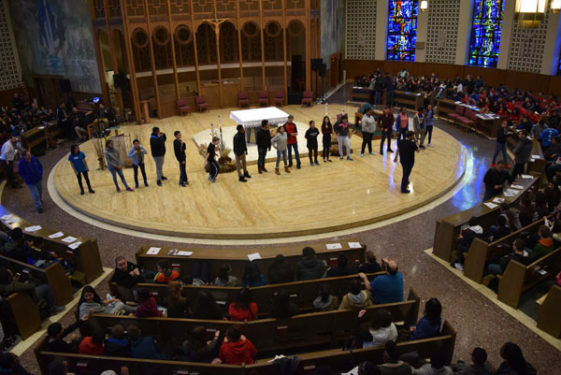 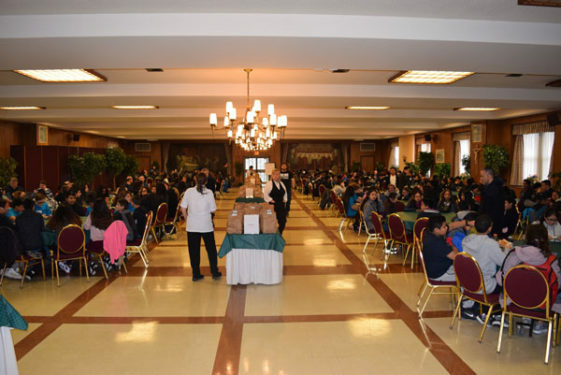 Immaculate Conception Center, Douglaston, hosted nearly 750 youth from all over the diocese as the final installment of this year’s Brooklyn Catholic Youth Day event. 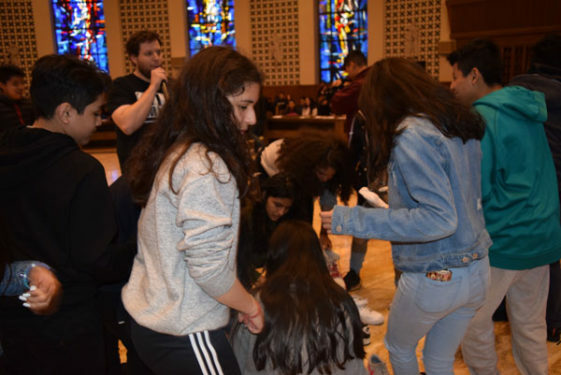 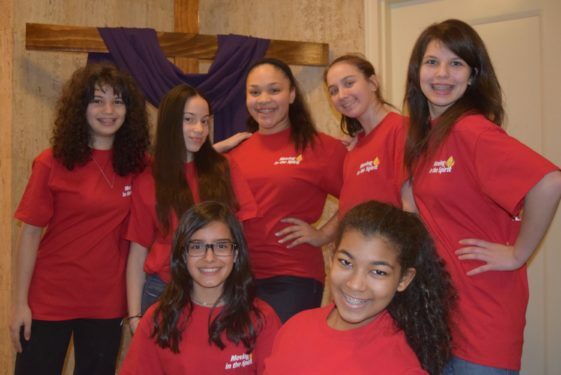 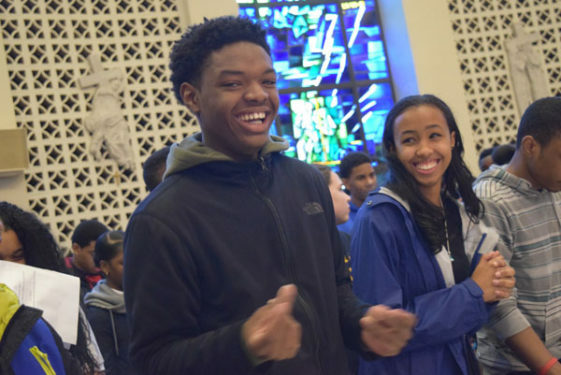 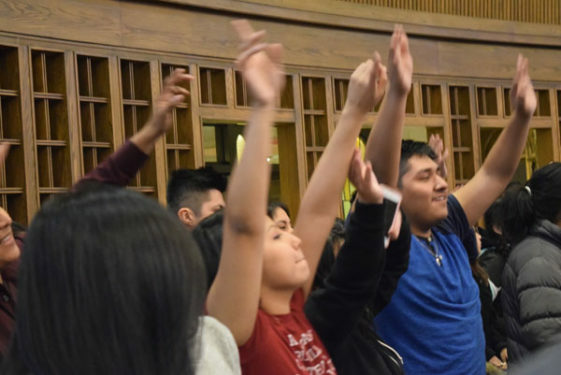 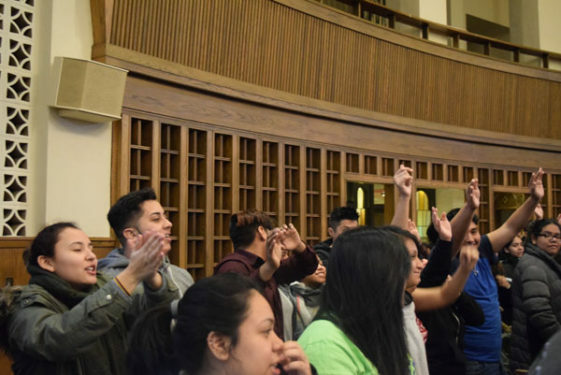 Sharing faith and fun as a community was the first activity to get the teens comfortable with each other since they would be spending most of the day in a chapel filled with new faces. 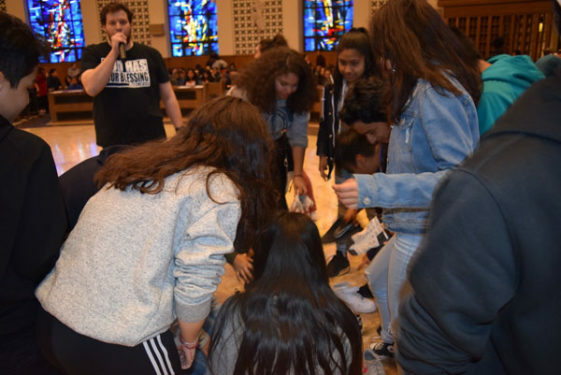 Teenagers had to get up close and personal with strangers as the games began with a scavenger hunt. 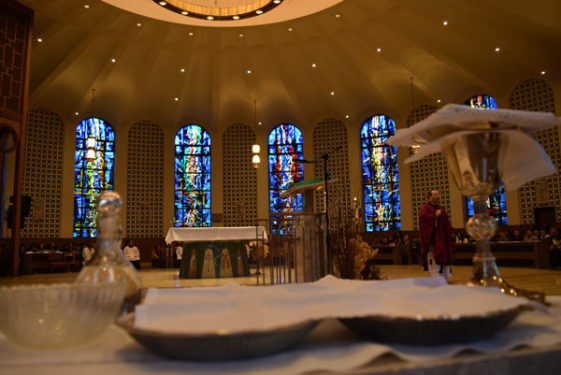 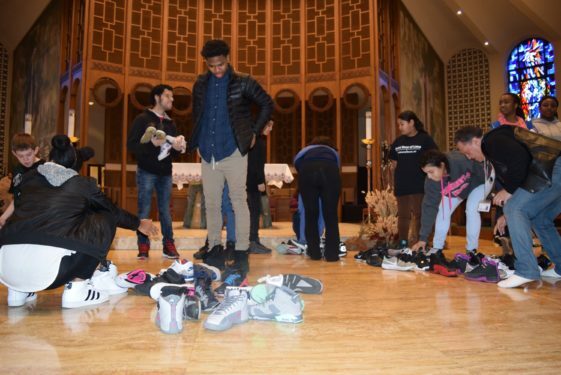 They had to take it upon themselves to get items that the speaker requested – from socks of different colors, to sneakers of different brands – and then place them in the center of the sanctuary. 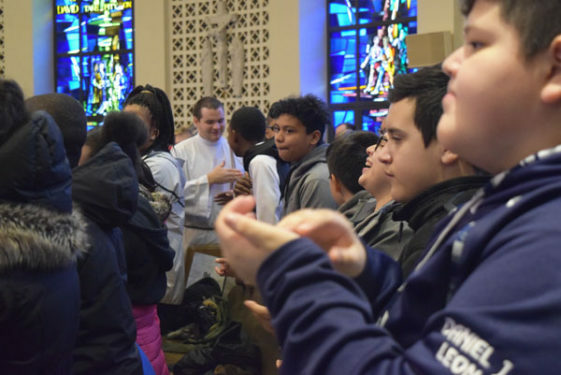 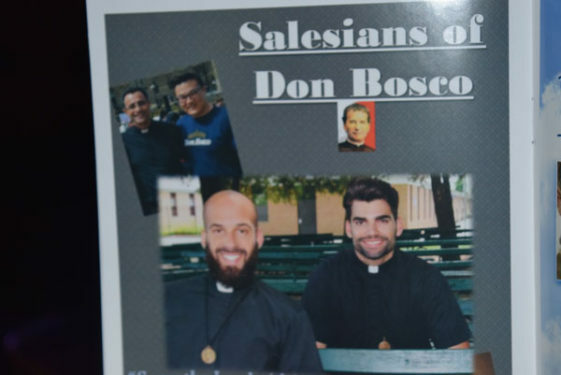 It was a day that invited them to be who they truly were, as they danced to praise and worship songs or listened to two Salesian Brothers of Don Bosco rap on stage or the more solemn moments of Mass, Eucharistic Adoration and Reconciliation. 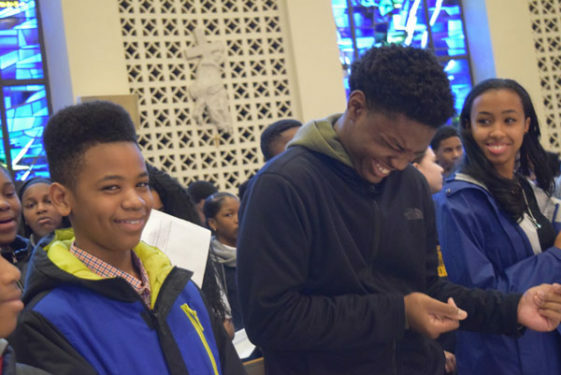 Reluctantly accepting the invitation of his mother to attend was first-timer Keson Edwards, a junior from Boys and Girls H.S. 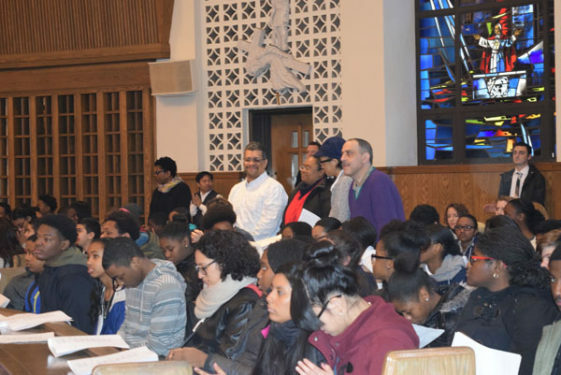 in Bedford-Stuyvesant. 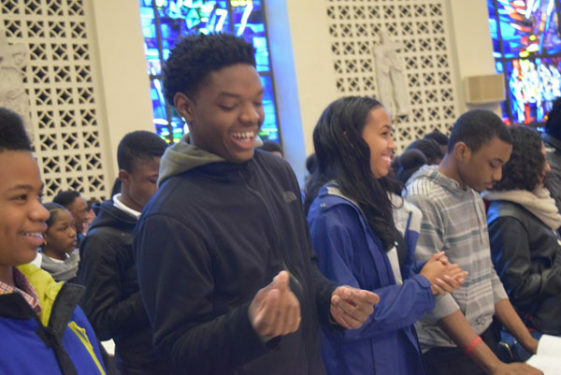 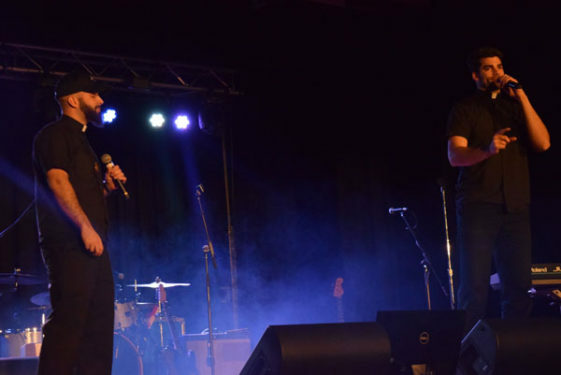 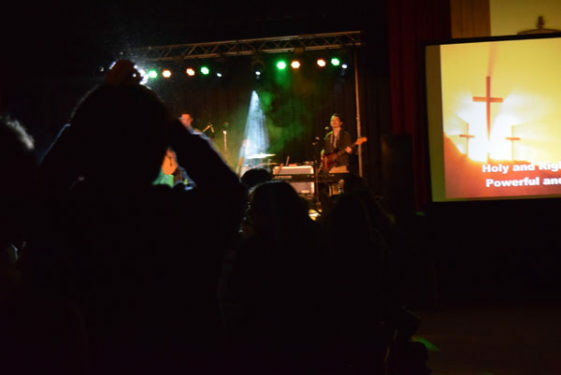 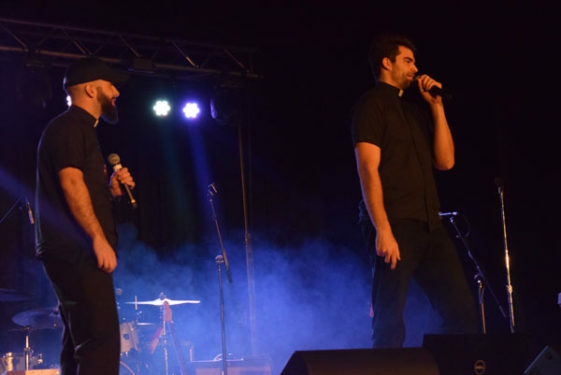 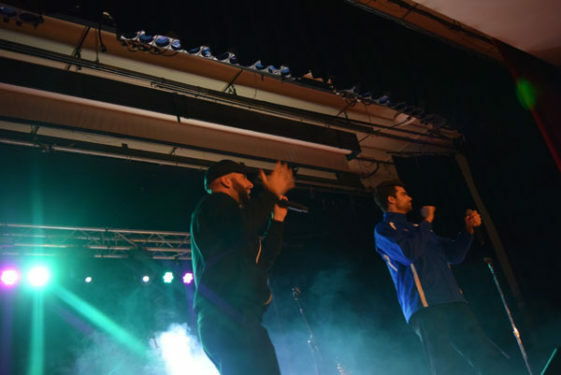 The event was spread over a Friday evening for Catholic high schools and Saturday for all parishes and schools. 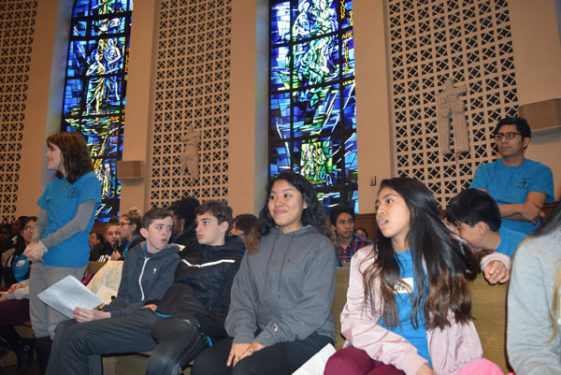 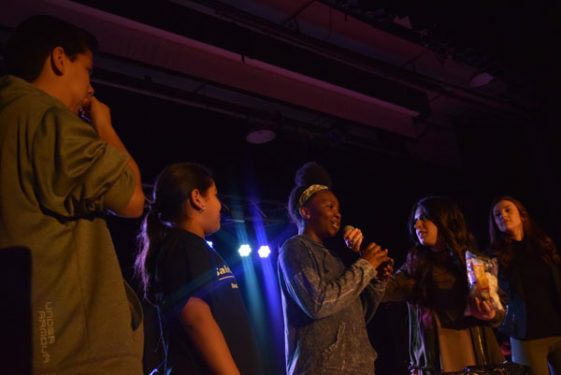 Keynote speakers from Array of Hope – Te Deum Ministries challenged the teens on their knowledge of the Ten Commandments. The enthusiastic youngsters held papers with the Commandments and then had to put them in the order they appear in the Bible. 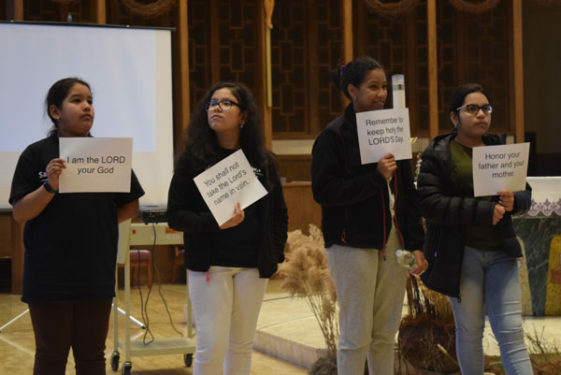 Even if their answers weren’t perfect, the message of faith, hope and love reminded the young minds to love God with their whole heart and to not believe lies about themselves. 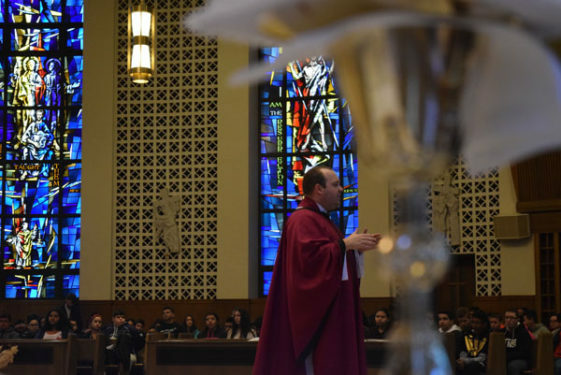 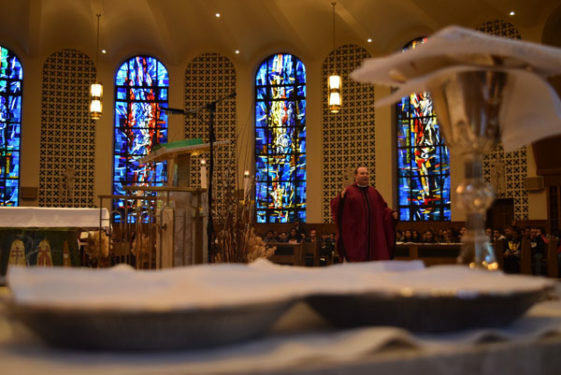 Honing in on the challenge to love God, self and others was the message of the homily by the diocese’s vocations director, Father Sean Suckiel. 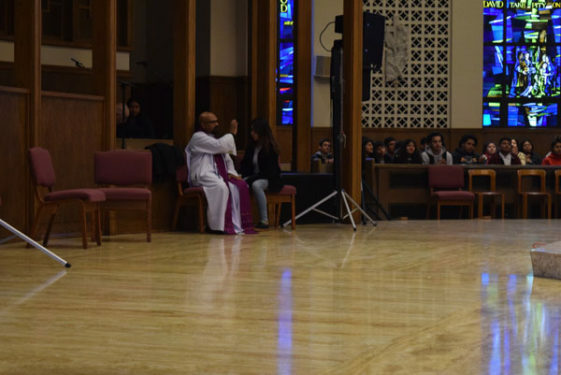 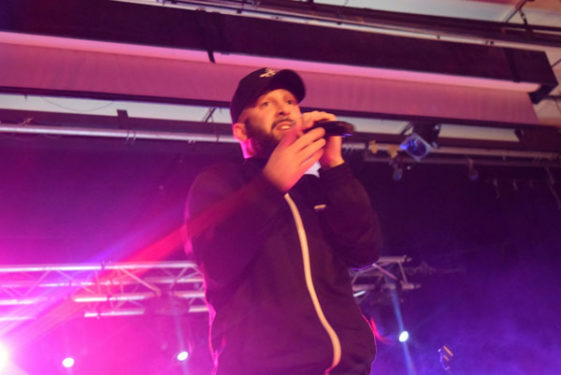 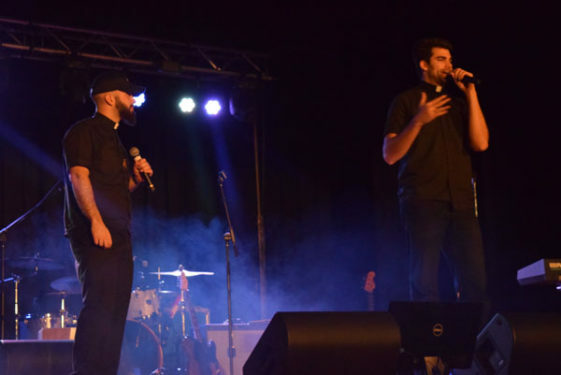 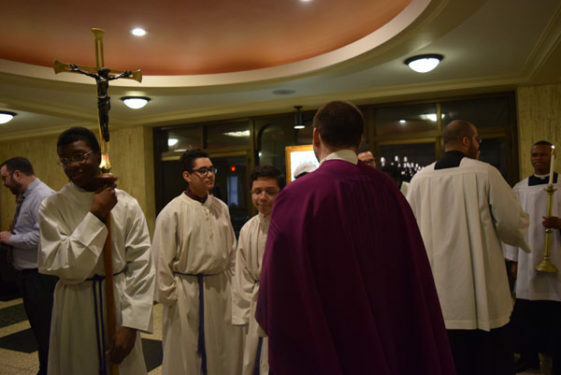 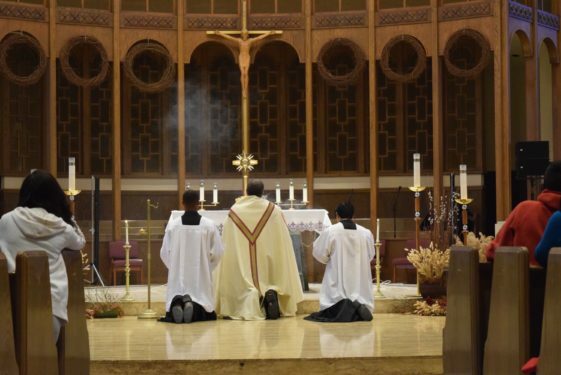 “Once we see God and encounter Him, our life changes forever, our lives change for the better,” said Father Suckiel, “and that’s our call today as young people. 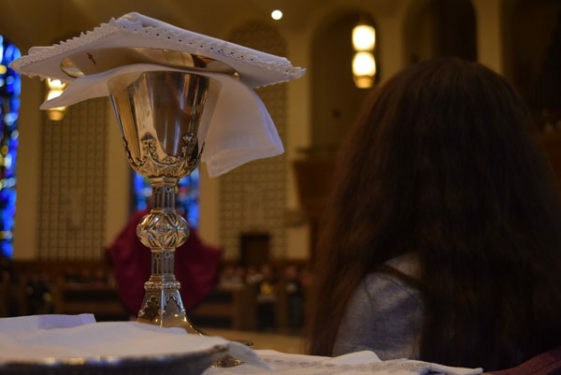 Pope Francis says when we go to Church on Sundays, we shouldn’t look miserable, we shouldn’t look like we’re going to a wake, no, when we go to Church we encounter someone so real and so personal.